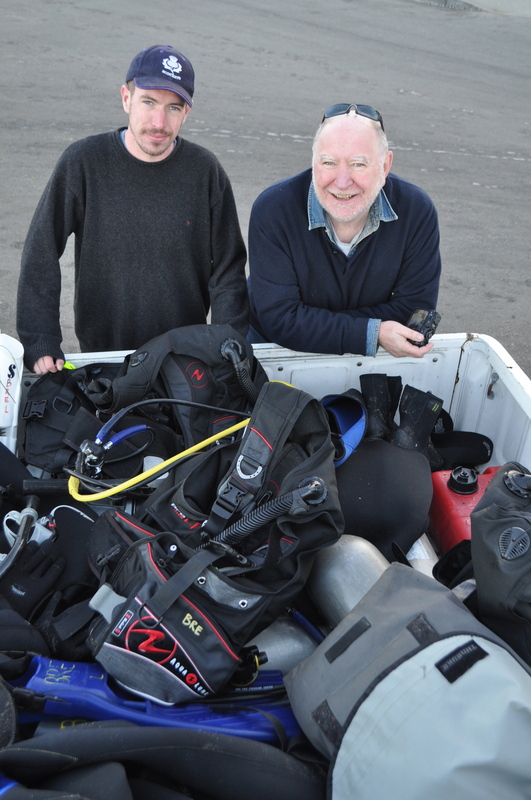 From Moss Landing we head to Monterey to go diving in the cold Pacific Ocean. The truck is small and we all squeeze across the front cab. There are two bucket seats, which means James is sitting on the center console. Notice pained expression. The water is cold and we need big thick wetsuits and hoods. Good way to fill a pick-up flatbed. In addition to diving gear there is an outboard and an inflatable boat. Whoa, this is not Okinawa. There are seals and sea-lions swimming around us, which fulfills a childhood dream cherished since watching seals from boats in Scotland. Orange giant jellyfish abound. What are those wierdo fish? They aren’t fish they are cormorants diving down and ripping food from the ocean floor. They come very very close and seem unconcerned by our presence. Truly amazing. All the wild life is calmer than in Okinawan seas, which I imagine has to do with slower metabolism due to cold water. Whatever; it makes for great diving as you can get very close to fish and er sea-lions. I so wish I had brought my underwater camera thing. 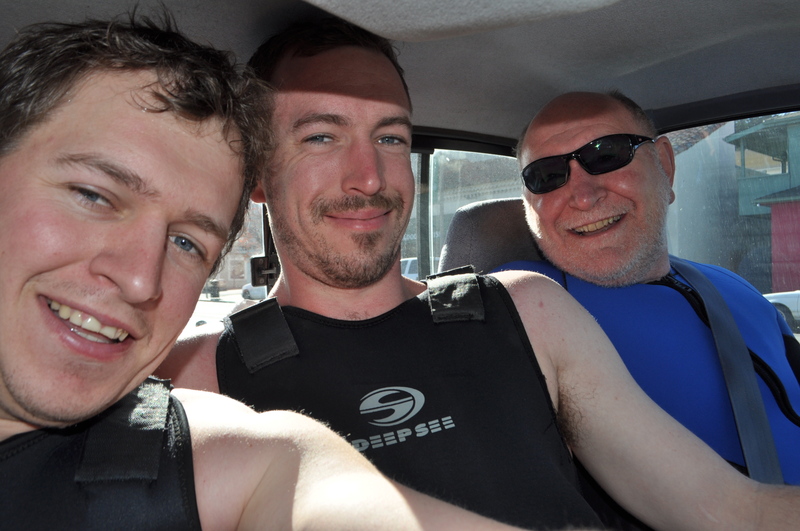 We do 2 amazing dives, getting very cold and unco happy. 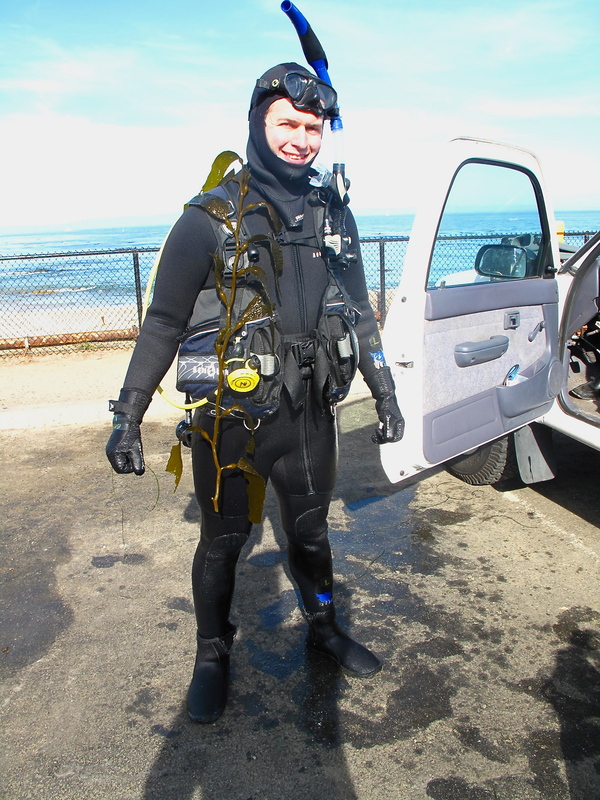 This entry was posted in Uncategorized and tagged diving, Monterey, seals, underwater birds. Bookmark the permalink.